Home/Mindfulness & Meditation/Why Mindfulness, Why Now? Mindfulness has reached a tipping point of awareness and people are asking why, what’s the fuss all about? Here is one important suggested reason. MANY PEOPLE have asked the question that makes up the header of this article: Why mindfulness, why now? This post suggests one important reason: the state of the world right now. Most people will agree that the world is a pretty topsy-turvy place at the moment. Election results are unexpected. Think Brexit, and Trump. Terrorist attacks are unpredictable. Think London, Paris, Ariana Grande. New companies can scale to global proportions in astonishingly short periods of time, while historical giants—whether they be companies, government dictators, or celebrities—can crash to zero within weeks. Think Bell Pottinger, Mugabe, Harvey Weinstein—and no complaints there. The world has always been a topsy-turvy place. As Winston Churchill said, “History is just one damn thing after another.” The difference now is the pace of change and the unpredictability. Even personal anchors, like having a steady career and a lifelong marriage, are becoming the exception rather than the norm. The net effect of this is that the old reference points no longer apply. We can no longer be guided solely by firm, fixed and clear political ideologies, religious or corporate rules, or social norms. These have simply not kept up with the fragmentation of thought and the individuation of identity—in the age of social media every person can be their own broadcaster. In addition, the trust that people once placed in leaders has been massively eroded. So who do we turn to? We have to figure it out for ourselves. Mindfulness is capable of providing that anchor. Yeah, right, you might say, mindfulness is just a bunch of hippy crap that’s been packaged for the social media age. Or you may have a more positive view of mindfulness, but see it as merely a good way to deal with stress. Much like yoga, or Pilates. That may be fair comment, and we’re here to say that mindfulness is also much more. We being myself and Dr Colinda Linde, who recently co-founded the Practical Mindfulness program. We like to say that mindfulness is the “salt in the mix”. In the way salt brings out the flavours in a dish, we say that mindfulness, applied correctly, can raise individual—and, ultimately, collective—human consciousness. To stay with the analogy we used, what can we say about salt? It brings up the other flavours of the dish. It’s only needed in tiny proportions to make a big difference. It’s also incredibly abundant on earth, but not in its isolated form. For the most part, it has to be distilled from water. Mindfulness is about becoming aware of the nature of one’s mind and using that awareness to consciously direct one’s mind, rather than be directed by it. As anyone who has practiced mindfulness will know, the mind is fairly unruly. We can say that “the mind has a mind of its own”, and we have little control over it. Yet we allow this out-of-control mind to run our lives and direct the world. Science has shown that certain forms of meditation can actually change the brain. The recently published book The Science of Meditation by Daniel Goleman (he of Emotional Intelligence fame) and Richard Davidson reports that seasoned Vipassana meditators actually grew more connections between the amygdala (which controls the fight-or-flight response) and the prefrontal cortex (which controls reason). These people proved to be much less reactive—their brains recovered much more quickly from a fight-or-flight response—than non-meditators. In our bus-driving analogy, this is like connecting the steering wheel to the wheels. Things feel a whole lot safer and in control that way—for us and for other people—and that’s what mindfulness can do for your own life. When you practice mindfulness—and the Practical Mindfulness program will show you how—you distill your own essential point of awareness from the sea of thinking and feeling that will have hitherto dominated and run your life. That tiny measure of awareness, like a tiny measure of salt, can infuse and transform your life. 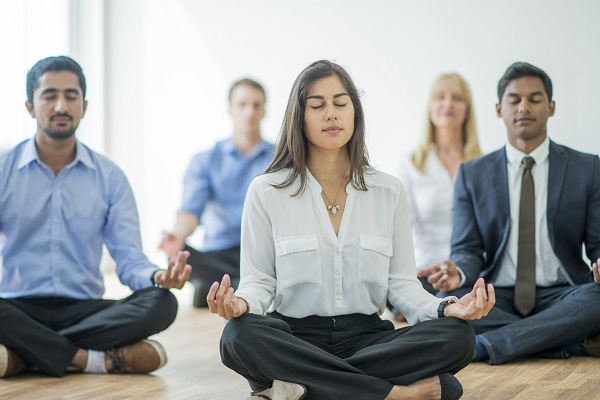 Mindfulness can be applied into every context of your life as well: dealing with emotions, handling stress, making decisions, and even such lofty themes as finding the state of flow and developing authentic leadership. We believe that everybody can benefit, and everybody can learn to manage themselves, to have a different, better experience of life. We also believe that if this reaches a tipping point, then humanity as a whole can benefit. If ever there was a time when people needed that, and society could benefit, it’s now.